Matt Groening’s Disenchantment on Netflix didn’t set the world on fire, but apparently there’s a real hunger out there for animated comedies with a medieval/fantasy setting, because Hulu has just ordered 10 episodes of Crossing Swords, an animated comedy about a peasant who lands a cushy job at the local castle and realizes that the fancy lords and ladies are really just assholes. The series is coming from some veterans of Adult Swim’s Robot Chicken, specifically writers John Harvatine IV and Tom Root, with Robot Chicken creators Seth Green, Matt Senreich, and Eric Towner all acting as executive producers. 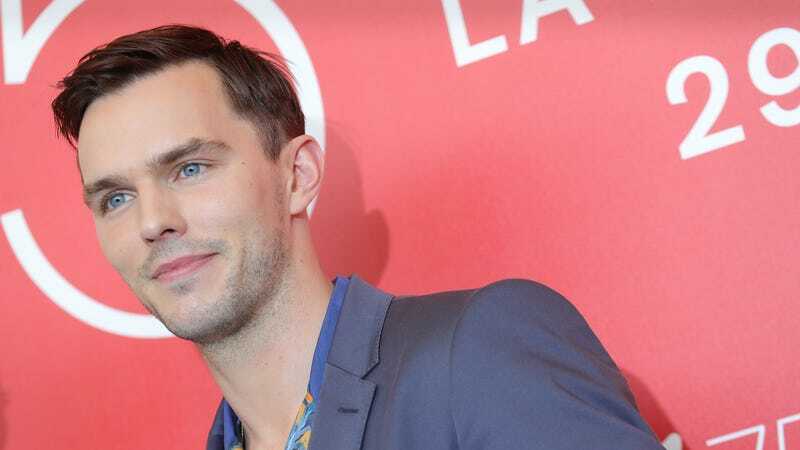 The series will star Nicholas Hoult as Patrick, the regular guy who gets his dream gig at the castle, and it will also feature Luke Evans, Seth Green, Tony Hale, Wendi McClendon-Covey, Breckin Meyer, Adam Pally, and Tara Strong. At least some of these people will be playing Patrick’s criminal siblings, just in case his life couldn’t get any worse. The series will premiere in 2020, which is also when Rick And Morty creator Justin Roiland’s Hulu show Solar Opposites will premiere—so remember to check out these new cartoons in two years.